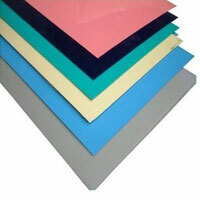 LDPE Sheets Manufacturer in Delhi, LDPE Sheets Supplier in Delhi, LDPE Sheets in Delhi. LDPE Sheets in Delhi,LDPE Sheets Manufacturer in Delhi,LDPE Sheets Supplier in Delhi. Madras Canvas Manufacturing & Supplying High Quality Range of LDPE Sheets & LDPE Tarpaulin Sheets .we are manufacturing in various shapes, size & colors. Madras Canvas offered LDPE Tarpaulins can be ordered from 50 to 500 microns & are commonly used as a safe guarding material to protect from rain or extreme climate. Madras Canvas delivering fault free range to our customer, LDPE Tarpaulin Sheets is tested under the supervision of quality control department on so many parameters.